Trying to conceive can be an agonizing time for a woman. You track your cycles, watch your body for any possible symptom of pregnancy, and wait from the time you might have been fertile until the time comes to test. As the days tick by, you cross your fingers that your period doesn’t come. And, the second that it even looks like you might be late, you take a test. Then, for a few minutes, you wait. Eventually your period comes, and you start all over again the next month. As I talked about in a previous blog post (find that here), we have been trying to conceive baby #2 since the end of June. When we went about really trying for baby #2, we thought it would be as easy as Graci. However, we were once again proven wrong. Each month, I always get my hopes up. I start trying to figure out if I’m having early pregnancy symptoms. I test too early. Then I test again. 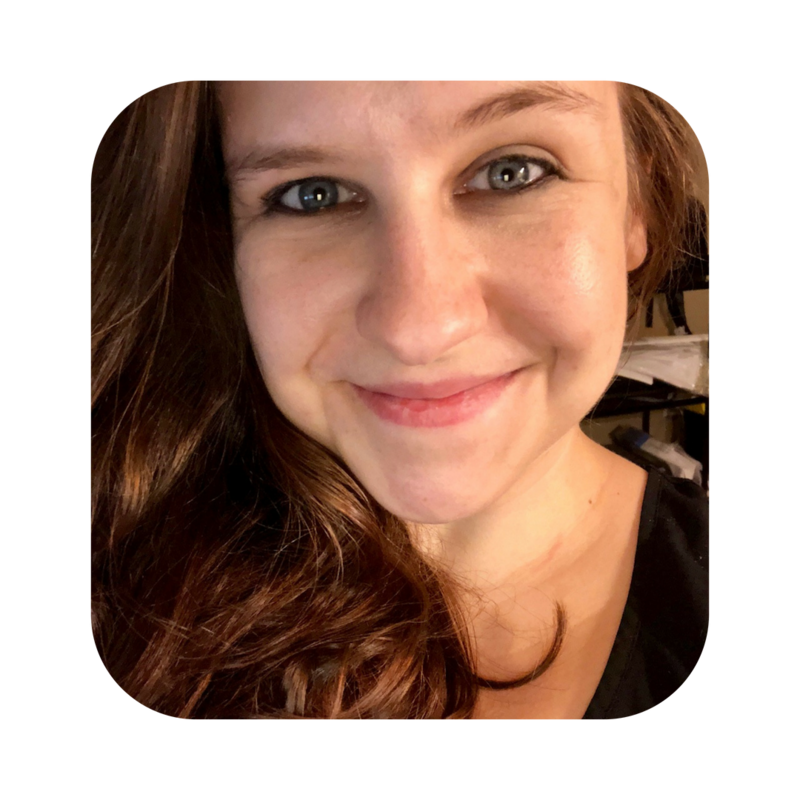 I track everything in my fertility app. And then I get my period. Having gone through several months of trying, I have learned to appreciate the gravity of what other women go through during their fertility journey. I won’t pretend to be in the same boat as someone who has tried for years, all I am saying is that I have a better sense of empathy now for all women who have struggled to have a baby. 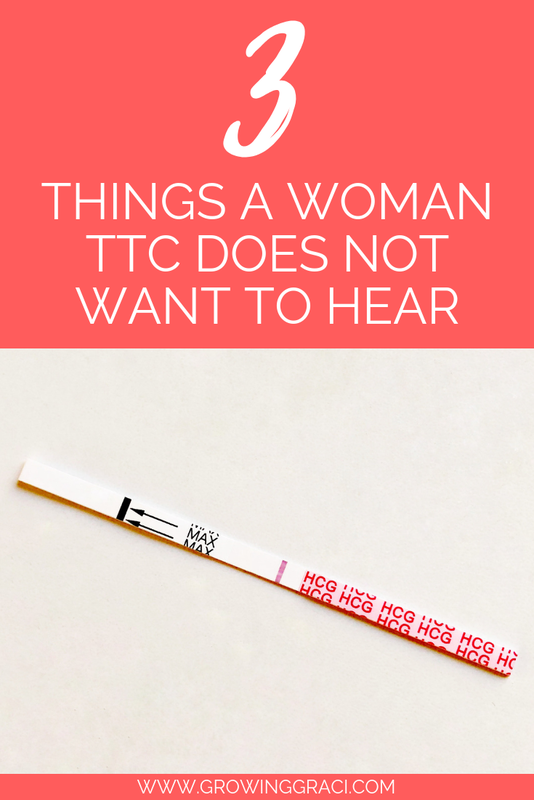 This leads me to the biggest thing that I’ve learned on this fertility journey thus far: what you should and shouldn’t say to someone who is trying to conceive. If you are talking to someone who is struggling to get pregnant, the words “at least” should not start a single sentence. I 100% understand that these comments aren’t meant to be hurtful. I promise. However, the truth of the matter is that if you are trying to conceive, you already know that you have an amazing husband, that you could logically adopt a child (though this is definitely not an easy or inexpensive task) and of course you love the child(ren) that you already have. The thing is, if you have started trying for a baby, it is because you want to have a baby. You might be thinking, “Well, duh,” but let me explain. Someone saying “well at least…” to you is like them saying “sure, you can’t have what you really want, but here is a consolation prize.” It isn’t intended this way, but that is how it feels. How exactly does one “stop trying”? Okay, I for sure understand the sentiment behind what people mean when they say this. They mean, stop stressing out about it and it will happen. But here’s the thing, the only difference between trying and not trying to have a baby for most couples is birth control. And clearly people aren’t telling you to start using birth control in order to get pregnant! They are telling you to change your mindset. Sure, you can stop scheduling when you do the deed, and stop charting symptoms. No matter what though, you’re still going to be thinking about getting pregnant every single month. I think that talking to other women about their fertility journeys can be super helpful. There can be a ton of support in sharing stories. However, random family members suggesting that you talk to someone else who struggled is awkward all the way around. Given that fertility is a super sensitive subject, I wouldn’t recommend starting up conversations with other people about their past struggles. If someone wants to share with you and have an open dialogue, go for it! The most important thing is give them a person that they can vent to. Trying to conceive is disappointing and frustrating. Sometimes the thing people need most is to be able to talk about it with someone other than their partner. Please be sure to let me know in the comments below what you think. If you have struggled through your fertility journey, were there things that you wish people had or hadn’t said to you?